Sarah Palin insisted in an interview on Thursday that she did not accept $150,000 worth of designer clothes from the Republican Party and said the media spotlight on the story is evidence of bias against women candidates. Sarah Palin, who is John McCain’s vice presidential running mate, said the clothes were not worth $150,000 and were bought for the Republican National Convention. John McCain offered no additional comment except a statement that the Republican National Committee doesn’t buy his clothes. 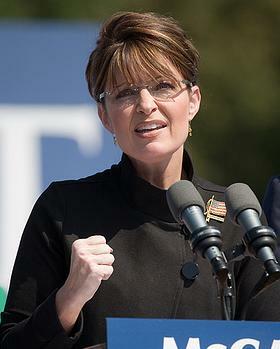 Also on Thursday, Citizens for Responsibility and Ethics, a private watchdog group in Washington, filed a complaint with the Federal Election Commission against Sarah Palin, the Republican National Committee and several political operatives alleging that the purchase of clothing for Sarah Palin and her family violates Federal Election Campaign Act. The law prohibits a candidate for federal office from converting campaign funds to personal use. CREW notes that FEC regulations make clear the prohibition applies to clothing but also provide that donations by candidates to charity are not for personal use. CREW argued this exception might apply to Palin’s clothes but doesn’t appear to apply to clothes for her family.